Built on the principles of equity, excellence and engagement, the University of Newcastle has a reputation as a world-class institution making an impact within its own region, throughout Australia and across the globe. The Faculty of Business and Law aims to provide an innovative and dynamic learning community that offers leading-edge degrees and strives to "make a difference" by creating new knowledge, preparing students for global citizenship, and contributing to the progress of Australia and the Asia-Pacific region. An exciting opportunity exists for a dynamic academic leader to join the Faculty of Business and Law in the role of Professor of Accounting. A senior position within the discipline of Accounting and Finance within the Newcastle Business School, the Professor of Accounting will further develop the accounting discipline, driving impact and engagement through the creation and nurturing of collaborative relationships, and creating a world-class centre of learning through innovative curriculum and teaching practices. The Professor of Accounting will provide direction and leadership across key areas of importance including innovation in teaching and learning, research impact, mentoring and development, industry and community engagement, and institutional collaboration nationally and internationally. The successful candidate will demonstrate personal success in teaching and research, along with leadership and mentoring of colleagues and the development of new initiatives and opportunities for their discipline or School. A track record in the attraction of funding and engagement with industry and relevant communities is essential, as is an alignment with the values and strategic direction of the University. 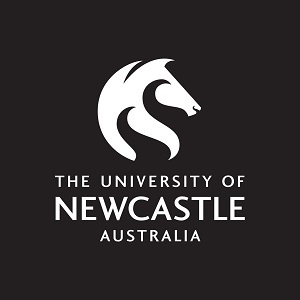 The University of Newcastle will be supported in a global search for this appointment by the executive search firm Perrett Laver. If you wish to discuss this role further in confidence, please contact Dr Patrick Marland at patrick.marland@perrettlaver.com or on +61 2 8354 4007. For more information and to submit your application please visit the Perrett Laver website at https://candidates.perrettlaver.com/vacancies/ quoting reference 4109. The deadline for applications is 5pm AEST Friday 24th May 2019.